Finally, brothers and sisters, farewell. Put things in order, listen to my appeal, agree with one another, live in peace; and the God of love and peace will be with you. Greet one another with a holy kiss. All the saints greet you.The grace of the Lord Jesus Christ, the love of God, and the communion of the Holy Spirit be with all of you. This has happened to me before. About the time I think the occasion is special, and that I’ll probably have to deviate from the standard lectionary texts for the week, one of the prescribed readings provides us with exactly what we need. On my last Sunday in the pulpit at Cassidy UMC, the lectionary practically begs me to use Paul’s benediction in his second recorded letter to the church at Corinth. I’m no Paul, but I’m certainly comfortable using the same words to say goodbye to the people of Cassidy that Paul used to close his letter. Finally, brothers and sisters, farewell. This actually is the most difficult part to translate. A lot of other translations say “rejoice” rather than “farewell.” I’ll just go ahead and conflate the two possibilities today, even if it’s not good use of the Greek. This is farewell, but we also should rejoice. Yes, we’re experiencing changes, but we are a people who can go through such transitions without fear. We gather in worship and in service because we know God is with us in all we do. His Holy Spirit is upon us, and that constant knowledge gives us constant joy, even when a less familiar future stands before us. The Holy Spirit is in the people of Luminary UMC and in me and my family, so I know I can rejoice in where I am going. God’s work will be done. The Holy Spirit is in you and is in Pastor Tom Hancock and his family, and I know God’s work will continue to be done here. You have put things in order, and will continue to do so, I am sure. Despite the struggles we’ve had in recent years, struggles tied to personal losses and a decline in giving, we have managed the situation well. The debt is gone. Church revenue and spending are about equal, leaving our reserve intact. You are well-positioned to make sound ministry choices in coming years. Stop inviting people to church. Never do that again; I should have said it this directly earlier. Instead, start inviting people to a relationship with Jesus Christ. “Church” is perceived by the lost as a place, a building on a piece of ground. The lost also might at first glance judge the people inside the building to be too old or out of touch. But Jesus Christ, known through his radical teachings and his sacrifice, is attractive to all when properly understood. Every other appeal I might make would be rooted in this change in attitude. Understand the difference in these two invitations, and you’ll understand the need to go off site to reach people. Your soul will work like a lost person detector, and with time and prayer the Holy Spirit will guide you to reach the lost with your actions and words. Invite people to know Jesus Christ, and the part about people coming to church will take care of itself. Some of your new friends in Christ will naturally want to be with you on Sunday. Agree with one another, live in peace; and the God of love and peace will be with you. Greet one another with a holy kiss. I don’t know if I have much to add to Paul’s words here. It is the ideal state for any church. It is my prayer you exist always in such a state. Last week, we talked about the power of the Holy Spirit falling on the church at Pentecost. Deep prayer and the study of Scripture tune us into God’s will, and a willingness to obey what we hear brings peace. As for the holy kiss part—well, that’s an act from a different time and culture. Instead, do those things we do now to show we’re in communion with each other. Look your brothers and sisters in Christ in the eyes, touch hands, touch shoulders, and say, “I love you.” Offer forgiveness when mistakes are made and personal hurts occur. Lord knows, the world needs such love. Remember, we are one church, regardless of what buildings we may enter on Sunday. We are one in Christ for all eternity. This includes the saints who have passed into the full presence of our Lord and Savior, Jesus Christ. May the grace of the Lord Jesus Christ, the love of God, and the communion of the Holy Spirit be with all of you at Cassidy, now and forever. Amen. Jesus had followers throughout his ministry, and after witnessing part or all of his torture, death and resurrection, some continued to follow him in a mixed state of wonder and confusion over the miracle they were seeing. These people were the hard-core believers. They still did not constitute a church, however, at least not in the proper sense of the word. Something was lacking, something Jesus had promised would come. 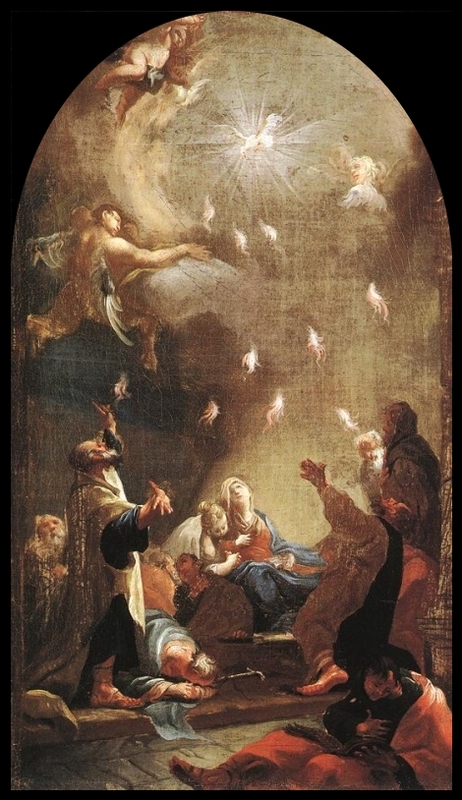 Pentecost Sunday marks the arrival of that something, which is, of course, the Holy Spirit. The life force had arrived; the church was born. And we are forced to consider our relationship with God in a whole new way. God the Father is a revelation of God outside all things, over all things. God the Son, Jesus, is God voluntarily reducing himself to experience human flesh, standing before us, alongside us, in solidarity with us. Those both are wonderful revelations of the One True God. God the Holy Spirit, however, is God working within us. And that is what makes this expression of God the most mysterious and sometimes the most frightening. God the Father and God the Son can be kept at arm’s length, treated as historical evidence of God’s existence. It’s possible to talk about those two revelations all day, even lifting up praise for them, and never really have to encounter them. The Holy Spirit, however, is more intense than God in your face. He is God in your gut, eyeball to eyeball with your soul. Not that God is rude. He will examine you from the inside out and challenge what he finds there, but only if you let him. He’ll even remake what he finds there, but again, only if you let him. And letting him in does require a willful act or two. Look at the story of Pentecost, in Acts 2:1-21. In fact, go back just a little earlier, to Acts 1:13-14. What were the believers doing before the Spirit arrived? Well, they were doing the work of the church, even though they were not yet fully a church. Before ascending into heaven, Jesus told them to go into Jerusalem and wait for the gift of the Holy Spirit. Clearly, the followers didn’t see waiting as a passive activity. They prayed intently. They searched what we now think of as the Old Testament for evidence of how to organize, and they treated what they found there as truth. In other words, they made themselves permeable people, ready to soak up the Spirit when he arrived, surrendering themselves fully to the work God wanted to do in them. It was a mighty change. Any confusion or dull-mindedness about the resurrection vanished; 120 people were of one mind, declaring Jesus the Christ and the availability of salvation to all. Language was no barrier. Peter delivered one incredible sermon, so powerful that the church’s numbers on its first day swelled to more than 3,000 before the sun set. Long before he went to the cross, Jesus said such incredible availability of the Spirit would happen. In John 7:37-39, Jesus invited those who believe in him to “drink,” and be filled in a way that “rivers of living water” will flow out of them. The author of this gospel made clear Jesus was referring to the work of the Spirit. It is an image that stirs my soul. God has promised that if we let him in—if we drink him in by opening our mouths in prayer and our minds to God’s word—his Spirit will overwhelm us and then pour out on those around us. God, help us with our impermeability. We stand in the flow of your Spirit, but so often we behave more like rocks than sponges, your Spirit flowing around us rather than through us. Drive away fear of change, Lord. Make us certain that the new shape you give us as you cleanse us and fill us is more pleasing and joyous than what we were before. And may we become your reservoirs of living water, Lord, available to all who need to know you. May we speak your truth and draw others to Jesus Christ. In the name of the Father, and of the Son, and of the Holy Spirit, amen. In the seventh chapter of Acts, we hear the kind of sermon that can get a preacher killed. A little background on the first Christian martyr: Stephen’s job was to handle more mundane tasks so others would have time to preach. His job was to ensure food was distributed fairly among the church’s needy. And yet, the Holy Spirit had a firm grip on him, working “wonders and signs among the people” as Stephen went about his tasks. In Christ’s kingdom, there are no small jobs. Despite being primarily a broker of bread, Stephen quickly ended up before a council of Jewish synagogue leaders to answer for his miracles and his declaration that Jesus Christ is Lord and Savior. When asked by the high priest, “Are these things so,” Stephen seized the moment. Started with the story of Abraham, reminding these Jews of how their history was rooted in great faithfulness, a long-term trust that God keeps his promises. Moved on to how the Israelites ended up in Egypt, rescued there from hunger by God’s servant Joseph and slavery by God’s servant Moses, with God’s faithfulness demonstrated across the centuries. Continued with how unfaithful the Israelites were in the desert, causing them to wander for 40 years, until finally a new generation was able to enter the Holy Land and take it from unholy people. Stephen then reminded these Jews of how the Israelites became a great nation, this part of his sermon seeming to peak with Solomon’s construction of a “dwelling place” for God, the temple in Jerusalem. Throughout this sermon, a man in charge of a first-century Meals on Wheels program kept reminding powerful leaders that their history taught them one was to come who would bring all of God’s promises to fruition. Then the sermon got personal. Talk about getting right to the point, a point the Jews were not willing to accept. The Jews rushed Stephen and stoned him to death, but not before he declared a vision of heaven, one in which Jesus stood at the right hand of God. One would almost think Stephen was suicidal, except for a fact Scripture makes clear. Stephen was in full communion with God’s Spirit, letting God guide him every step of the way and word-by-word in his sermon. Because of that, I also have to assume there was a genuine opportunity for this audience to understand Jesus to be their messiah. I’m left a little disturbed by this story. How can so many American Christians be hesitant to speak openly of our faith? Any repercussions we may face are, at worst, mild in comparison to being stoned to death. Are we really that disconnected from the Spirit? And at the same time, I’m encouraged. In Stephen’s story, we see that a deep relationship with God can give us the strength to do remarkable work, even while executing church tasks that may seem incredibly mundane. Somebody’s got to cook and deliver the food; somebody’s got to drive the bus; somebody’s got to trim the hedges; somebody’s got to clear the septic lines when they clog. The key is to be alert for opportunities to declare Jesus Christ Lord and Savior when doing these things. Walk with God. Be ready, be willing, and the Holy Spirit will do the rest. Thought I would take a moment to announce I’ll be moving this summer, God willing. 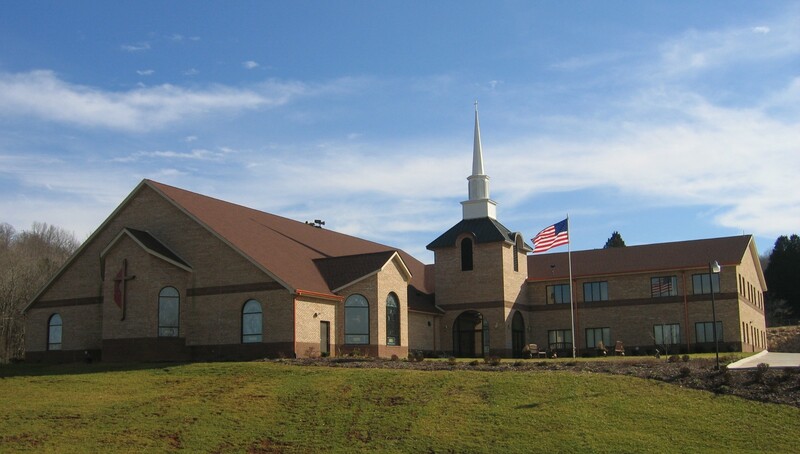 I’m projected to become pastor of Luminary United Methodist Church in Ten Mile, Tenn., a lovely little community along Watts Bar Lake, southwest of Knoxville. We in the United Methodist Church say “projected” because nothing in life is certain, and appointment-altering events could occur before the last day of annual conference June 11, when appointments are “fixed.” (Ouch.) But as of now, this change is about as certain as pastoral moves can be in May. If all goes as planned, my last Sunday in the pulpit at Cassidy UMC should be June 15; my first Sunday in Luminary’s pulpit should be July 6. The move won’t impact this blog—wherever I go, I’m supposed to preach God’s word, and that preaching usually is the basis of what I write here. Do me a favor and say a prayer for me, my family, and the churches involved in this time of change. While you’re at it, remember all the pastors’ families in transition. Oh, and for you UMC Holston Conference pastors who are moving—I hope you’ve taken note of the lectionary epistle text on our last Sunday before leaving. I know what I’m preaching. Strictly in terms of what it costs us, salvation is worth very little. In fact, we usually talk about salvation as a free gift from God. And like a lot of life’s freebies, even people who accept the general idea of the gift can begin to devalue it. They may even treat the free gift as something to be taken seriously only when necessary, maybe in old age, near death. To do so, they of course must first deny the possibility that life could deviate from the course they have imagined. But once they’ve firmly deluded themselves on this point, salvation becomes like a gallon of milk to be picked up on the way home from work, except salvation seems cheaper. Such a human perspective is very wrong, however. Salvation should never be treated as if it is worth what it costs us. The value of salvation is rooted in what the gift cost God. Writing this down, I almost feel silly stating something that seems so obvious. And yet, even people who call themselves Christians sometimes act as if they don’t get it. The Apostle Peter addressed the cost of salvation in a general letter he wrote to be circulated among churches, a letter we now call 1 Peter. We cannot even begin to quantify the value of salvation in terms of earthly wealth, he tells us. A perfect, sinless being, a man who also was fully God, died so we would not face the punishment we are due for defying our creator. Why? Simply because the one who made us loves us so much. In this Easter season, let’s revisit the cross. Most of us have heard stories of Jesus’ humiliation, beating and gruesome death. There was another kind of pain, however, a deeper suffering. Think on your worst sins. Think of the pain they caused, the damage they did to those around you. Christ absorbed the effect of those sins, removing the power those sins had over you. Now we begin to understand the real pain of the cross—Christ bearing our sins and every sin ever committed. 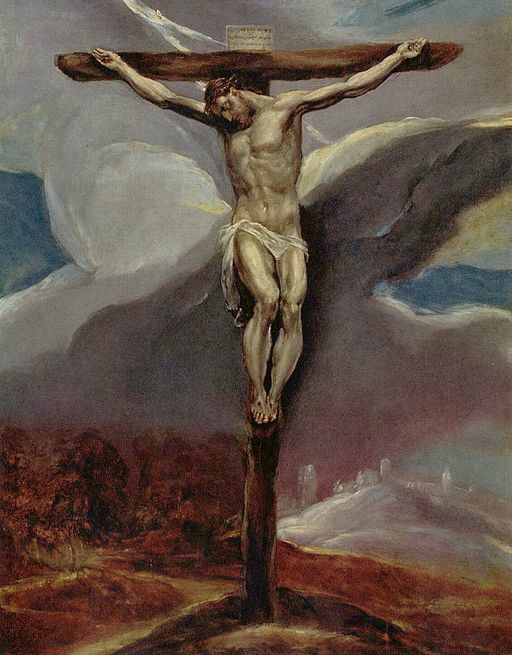 What astounds me is that the tremendous weight of our sins did not rip Christ from the cross and crush him. I also suspect it was more than just the sin in humanity that caused Jesus to suffer. When evil first escaped into the world, creation was fractured mightily, like a porcelain vase tapped with a hammer. In his suffering and dying, Christ repaired all the cracks, pulling them together with his pierced, outstretched limbs in ways we cannot comprehend. One drop of his holy blood is worth more than all the gold in the universe, and much more than one drop was shed in the remaking of creation. We already have seen an initial sign of this remaking in the resurrection, and because we are freed from sin, we will see the remaking in full. When we accept this truth, we begin to live in new ways—not because of any rules we’re following, but because we know we can never provide an adequate response to what God has done. We begin to live as if we’re actually astonished by God’s love. How do we not respond with everything we have: our time, our money, our very lives? In Wesleyan denominations, we speak often of sanctification, of growing in our love so we respond to God and those around us as Jesus would. Every step on this path to holiness is made by better absorbing the truth of what Jesus did, of what he continues to do this day in the world through the Holy Spirit. I ask you again: What is salvation worth? Let your answer guide your life. It’s Easter. Let’s hear the story again—how about the account in the twentieth chapter of the Gospel of John? This story is the core of our faith. To a Christian, this story is everything: proof that what happened on the cross was effective, evidence that this world is becoming so much more than we can imagine. Panic and confusion—that’s the initial reaction to the empty tomb. We have no scientific description of the actual resurrection, of what happened to Jesus at the precise moment he moved from death back to life. It was a unique moment; even when Lazarus was raised from the dead, he was not truly resurrected. That is, Lazarus was not transformed into something indestructible and mysterious, made of matter and yet impervious to the laws of physics. We know Jesus underwent just such a transformation. We don’t know if the Jesus event happened with a great flash of light or in the near silence of a small, still voice whispering, “Live and be transformed.” Like the disciples, we begin our understanding merely with an empty tomb, a missing body. Things go missing in our lives all the time, and usually these vanishings cause us grief. 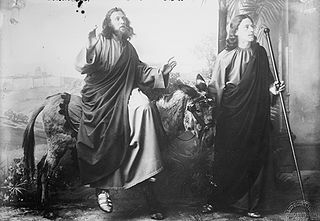 It’s no wonder the two male disciples walk away, seemingly perplexed. We’re told the unnamed disciple finally looked in and “believed,” but that, in itself, is puzzling. Believed what? Apparently, the disciple believed Jesus had somehow beaten death. It’s not a complete belief, yet, not the kind of belief that makes you fully Christian. But the empty tomb was a beginning, at least for this one disciple. He would have to see Jesus in full later, the walking, eating, breathing Jesus who also could walk through walls as if they were vapor. What an astounding vision. Angels in white, appearing from nowhere within the tomb! Yet Mary was so grief-stricken she could not process what she was seeing. She could not move past the human explanation that someone must have taken Jesus’ body. We’ve been there, so stricken by brokenness and sadness that we forget the hope and glory God constantly offers us. We forget the story we’re hearing now. Even with Jesus before her, Mary Magdalene could not immediately comprehend through her grief and tears whom she was seeing. We also may be gaining some insight into resurrected forms. In their perfection and unhindered glory, they may not be immediately recognizable. We have become so used to the imperfection and brokenness of this world. At our own resurrections, I wonder if we may struggle at first to recognize our loved ones in perfectly healthy bodies, the flaws they may have carried even from birth gone. But we shall recognize Jesus, and surely, we shall recognize one another as people changed for the better. Here’s an important point I want you to take away today. Jesus’ resurrection lets us shift from seeing the world as it was to seeing it as it will be. When we accept the truth of the resurrection, we find ourselves able to see the goodness and perfection toward which we head. Have you ever wondered why we talk about Christian joy being something that remains in our hearts even in the midst of sadness? We understand this story of Jesus’ resurrection and remember we as part of God’s creation are to experience resurrection, too. We can witness horrors on the news or in person and know that when the time comes, God is going to put that situation right. We can think of the worst kinds of sins, sins committed by us or inflicted upon us, and know that God’s power is greater than the effect of those sins. We can stand and look at the body of a loved one, and know death is not the end. Here is a glimpse into how salvation works. Jesus brings humanity back into full relationship with God despite sin. At the ascension 40 days later, Jesus would carry human flesh into heaven, making it part of the Godhead. What was barred from paradise may now re-enter, and God wants to dwell in human flesh even now, through the Holy Spirit. These are ideas we’ll talk about as the church year continues, as we consider Ascension Sunday and Pentecost Sunday. Mary Magdalene went and announced to the disciples, “I have seen the Lord”; and she told them that he had said these things to her. “I have seen the Lord.” See that shift in viewpoint? Everything is going to be okay. All we’re called to do is be like Mary and declare the great wonder of what God has done. Do you accept that you have seen the Lord? Certainly, none of us stood at the tomb with Mary that day, but at the same time, most of us worship on Easter Sunday because in one way or another, we have seen the Lord. As people who have seen, we also have a responsibility to tell others. Go this day and tell the story! It was at best a party of mixed emotions, however, and the man at the center of it all must have been deeply disturbed at what was to come. I wonder if he was able to enjoy the moment at all. The miracle man, the one who had already impressed so many with healings and feedings, was declaring himself king. The common people who gathered in the streets partially understood this sign, reacting by rolling out a palm-and-cloak carpet and shouting, “Hosanna!” Literally they were crying, “Save us,” although by this time “hosanna” was more a shout than words with real meaning. We should pause here and acknowledge that the people weren’t fully understanding Jesus’ declaration. They failed to remember his teachings in the Sermon on the Mount—blessed are the peacemakers, turn the other cheek, love your enemies. In particular, they missed the significance of the donkey, something a king would ride only if he came in peace. Their failure to understand what it truly means for Jesus to be the king of peace would become evident as the week progressed. And of course, there were others watching Jesus strike a match near what they considered a political powder keg. There were the Sadducees, the Jewish faction in control of temple worship. They were fine with the system as it was, and they kept one nervous eye toward the Roman occupiers, hoping they weren’t picking up on the symbolism of Jesus’ ride. There were the Pharisees, like Jesus reformers, but reformers deeply annoyed by Jesus’ constant criticism of their highly refined legalism and jealous of his miracles and popularity. There were the Zealots, revolutionaries carrying sharp blades beneath their cloaks, hoping Jesus’ rousing of the crowd would lead to Roman blood in the streets. And there were the Roman politicians and soldiers, fully armed and on high alert because of the crowds, determined to keep this backwater province under control. We used to debate in seminary whether Jesus had to be crucified to save the world. Was it possible for people to fully acknowledge who he was, and then salvation to occur without his holy blood being shed? Palm Sunday marks Jesus’ willing entry into the valley of the shadow of death, a place where worldly factions fall on you with little warning, and where those who cheer you on may call for your death just a few days later. And he entered it for us, to free us from the power of sin and death. “Let the same mind be in you,” in whatever we do. In politics, we are to be little kings of peace, remembering the Sermon on the Mount. And where there is a thin understanding of Jesus Christ and his role as Savior, it may require deep sacrifices on our part to give that truth weight. When we consider Jesus on the cross, our following his example almost seems like a losing proposition. It would be, except for what we celebrate next Sunday. But that’s a story for next week. This week, remember the boldness, and the all-important death that cleanses us.